2 years ago, Macau was a gamblers paradise. Business was booming, and revenue streams were consistently increasing each year but recently, this has all evaporated. Casinos which began construction when Macau was flourishing are now opening their doors in the middle of a significant downturn. Melco Crown Studio City Casino encapsulates a vision to bring Hollywood’s glamour to Macau, offering customers a unique gaming experience, with Batman flight simulator, figure of 8 ferris wheel, and an interior that brings the excitement of Hollywood to life. It should have been a grand opening in the midst of surging revenues and guaranteed profits, but in the last 18 months, Macau has changed. In each of those months, gross gaming revenue has contracted, with October seeing a 28% year on year contraction, to MOP$20.1 billion. The Studio City has now opened it’s doors, but in the midst of nervous concern from investors, and uncertainty about its future. There are a number of casino developments which are either under construction, or have opened their doors, and Macau’s gaming revenue shows no signs of revival. Basic economics tells us that when demand for a product is falling fast, there are no profits to be found in increasing the supply of that product. The future of casinos in Macau has become bleak, mostly because of an essential revenue stream being diverted elsewhere. The small number of highly wealthy gamblers who had made Macau their second home, have relocated. These businessmen primarily originated from the Chinese mainland, and since President Xi Jinping has cracked down on money transfers, and how Macau is being run, they have stayed away. The smoking ban in all gaming venues within Macau will be enforced from January 2016. It was voted in by a near unanimous margin. Many of the junket operators who have not already moved to more friendly Asian gambling locations have claimed that once this new law comes into effect, it will be the deciding factor that forces them out. More revenue will of course, go with them. While the vote has already taken place, and the results counted, there is still time for amendments to be made. 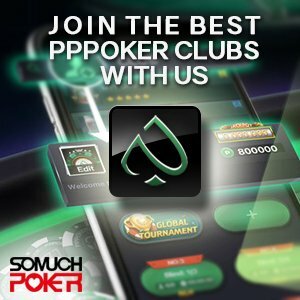 The VIP rooms could yet be exempt from the new law if the voices against it are to gain any concessions, this may help to salvage the business of some of the high rollers. Businessman Zhen Anting is campaigning for this amendment, and has been vocal in his opposition, but if voices such as his are ignored, the end of Macau as a gambling paradise will be significantly hastened. On top of the problems that have already been mentioned, major issues are looming in terms of future table allocation. The government has set an annual table growth, which is constraining any potential for growth or recovery. The cap figure stands at 3% which represents a tiny increase in tables, to be shared among the casinos in operation. In 2014, Macau had 5,711 tables, but with a 3% cap, that figure would only be able to rise by a maximum of 171 tables. 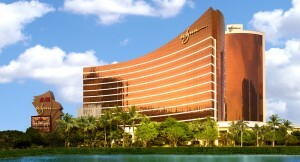 Three new resorts slated for 2016 – Wynn Palace, Parisian Macao and Louis XIII – have expectations for over 1,000 tables, which can’t possibly fit under a hard yearly cap. Whether it’s new locations, or established ones, every casino is feeling the strain in Macau right now. Serious growth of any industry within Macau always had a problem standing in it’s way. With 500,000 people in Macau, and the rules stating that companies must hire native workers in casinos, the surge in the gaming sector 5-10 years ago brought unemployment rates down to almost 2%. Every casino needs staff, and with unemployment so low, it would be very difficult for any new property to hire the necessary staff to function. As a result of this, casinos are starting to compete with each other to try and offer ever higher wages in order to bring staff in, with the inevitable result being that their profit margins are then being harmed by the increasing wages. It is clear that Macau continues to wrestle with a number of problems which are adding weights to the feet of an industry which is already drowning. With the main revenue streams gone, new properties opening in a time when less are needed, new laws further alienating customers, and a dwindling workforce available, Macau is facing serious issues. If there is a silver lining however, it is that the demise of Macau should coincide with fresh growth in other parts of Asia, as wealthy high rollers seek out new favorite locations.